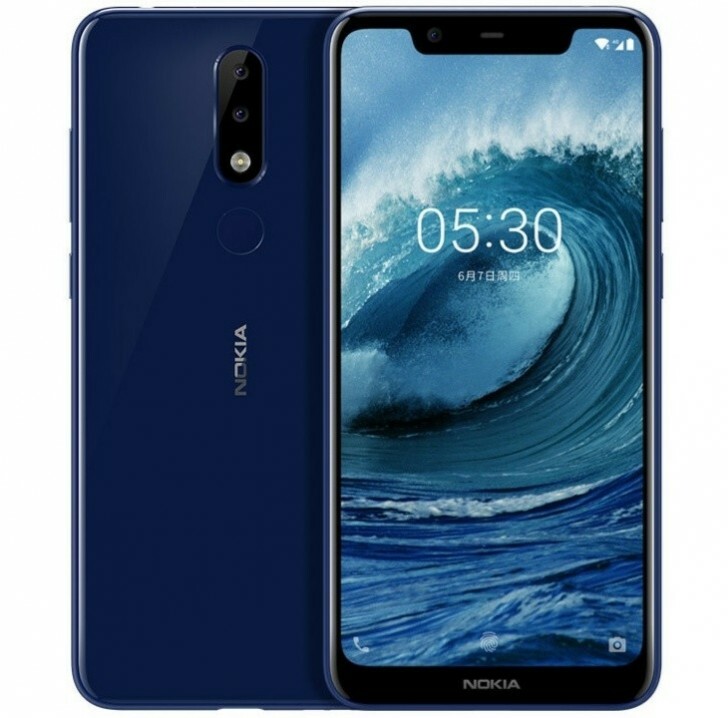 Nokia has launched the Nokia 5.1 Plus in India, also known as Nokia X5 in China. The phone is priced at INR 10,999 ($151) and will be available exclusively from Nokia.com and Flipkart, starting October 1. The Nokia 5.1 Plus is the company's latest budget mid-range smartphone. The new model looks remarkably similar to the recently launched 6.1 Plus, except for a few external changes. The Nokia 5.1 Plus has a 5.8-inch LCD with a resolution of 1520x720. The phone has a fashionable notch at the top, which is strangely larger than the one on the Nokia 6.1 Plus, even though there is real reason for that. A 2.5D glass covers both the front and back of the phone with glossy metal sides for a premium finish. Inside, the Nokia 5.1 Plus runs on a MediaTek Helio P60 with 3GB of RAM and 32GB of expandable storage. On the back is an f2.0 13MP primary camera and 5MP depth sensor and on the front is an f2.2 8MP camera sitting by its lonesome inside the big notch. The Nokia 5.1 Plus has a 3,060mAh battery but only supports 10W charging. It runs on Android 8.1 Oreo with Android One that promises three years of major updates and three years of security updates. The phone will be available in two colors, Gloss Black and Gloss Midnight Blue. Airtel customers will receive an INR 1800 cashback and 240GB free 4G data over 12 months on the plans of INR 199, INR 249 and INR 448. I have a Mi 2 that is almost 6 years old and a Redmi Note that's 4 1/2 years old. Both phones are still going strong. Xiaomi devices also come with a two mounth life spann and no support. They also come with a lot of legal problems. So, first, people should not buy them out of principles, then out of quality, then out of everything else.